While US equity markets (well a few mega-cap tech stocks anyway) have remained resilient in the context of rising protectionist fears, the world's largest shipping company is seeing its stock eviscerated as investor anxiety over trade wars finds an outlet that makes rational sense. A.P. Moeller-Maersk A/S may struggle to make a profit this year after the U.S. and China descended into a trade war that is already showing stress in sentiment surveys. 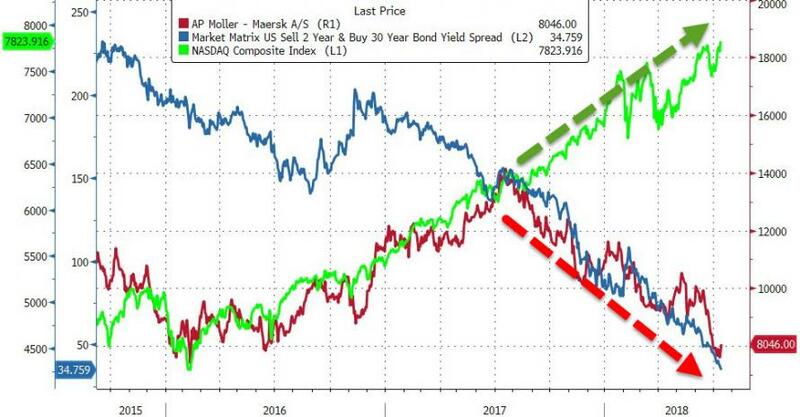 As Bloomberg reports, Maersk, which is based in Copenhagen, has already lost almost a third of its market value this year as investors gird for more bad news, and it is losing value in line with the collapse in the US Treasury yield curve. 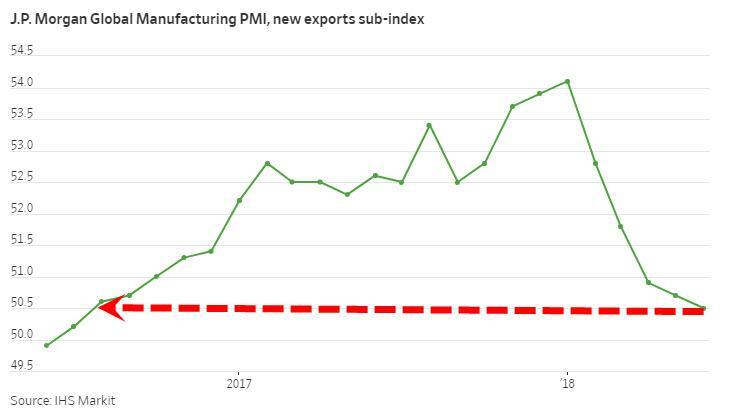 Trade protectionism means less demand, and history suggests the shipping industry will struggle to make the necessary supply cuts. What’s more, Maersk is now more exposed to shipping as the former conglomerate divests its energy business. 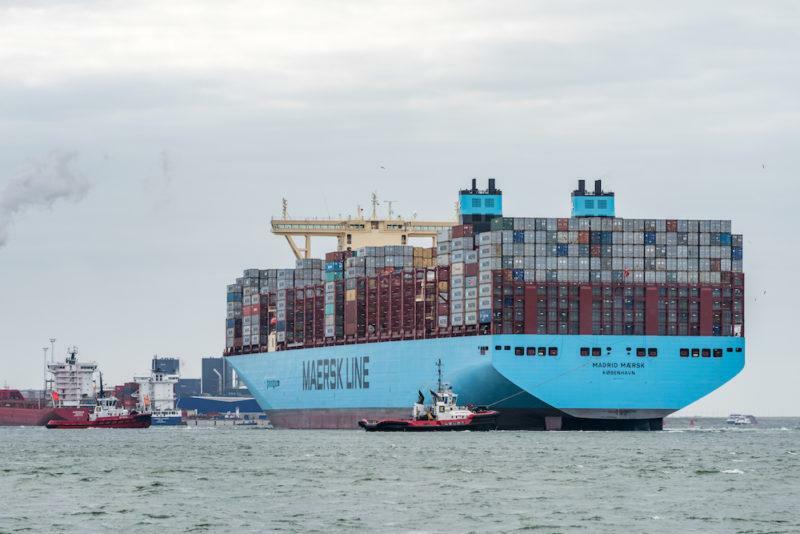 Per Hansen, an investment economist at Nordnet in Copenhagen, says Maersk is currently “in the eye of the hurricane” when it comes to the damage that will be inflicted by a trade war. The company said earlier in the week it will need to temporarily scale back its service between Asia and North Europe as a result. “It’s highly likely that Maersk’s valuations could sink to its trough valuations in the coming months as investors avoid shipping stocks until more excess capacity is being removed,” said Corrine Png, chief executive officer and founder of Crucial Perspective, a Singapore-based research provider focusing on transport. 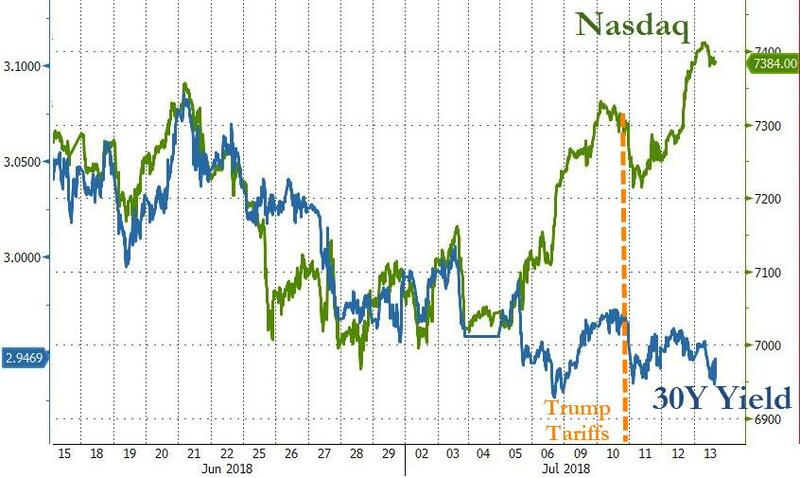 So just keep buying Amazon and Netflix, oh and for good measure, keep buying bonds.